Classic Lemonade100% Whole Lemon Lemonade (The Peel Too! )Grown Up Strawberry Lemonade PopsiclesCitron Pressé, Oui! Oui! Welcome to our series all about lemonade. Get all you need to know to make the best sweetly sour glass ever! The last blast of Summer, Labor Day Weekend, is just around the corner. To celebrate all the hot hot fun one more time before we turn our thoughts to Fall we decided to focus on Summer’s most refreshing drink, lemonade! In this series we’re going to teach you how to be a lemonade superstar. We have a perfect classic lemonade recipe for you as well as a bunch of delicious twists. We also have how to’s and tips galore. We even help you run a successful lemonade stand. Totally fun, right? 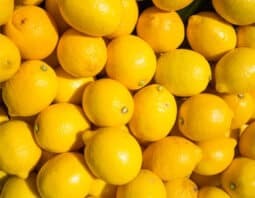 To get all this lemony goodness, head over here every day to see our newest lemonade articles. 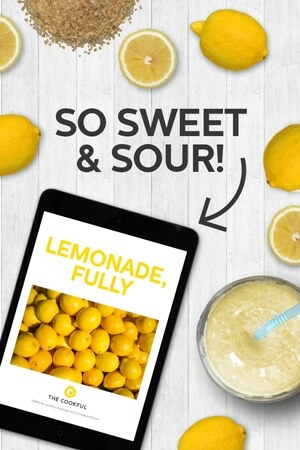 Or, if you can’t wait to get your hands on it all, check out our Lemonade Ebook. It’s free when you subscribe to our newsletter below. I hope you have a ton of fun in the sun!